Tofu is a very nutritious food rich in vegetarian protein, ﻿calcium, and iron. It is a low fat and cholesterol free paneer looking cheese that is made almost the same way as paneer except that it is made from soymilk. I have been making Tofu dishes a lot and we have started developing a better taste for Tofu, the so called 'tasteless' food. 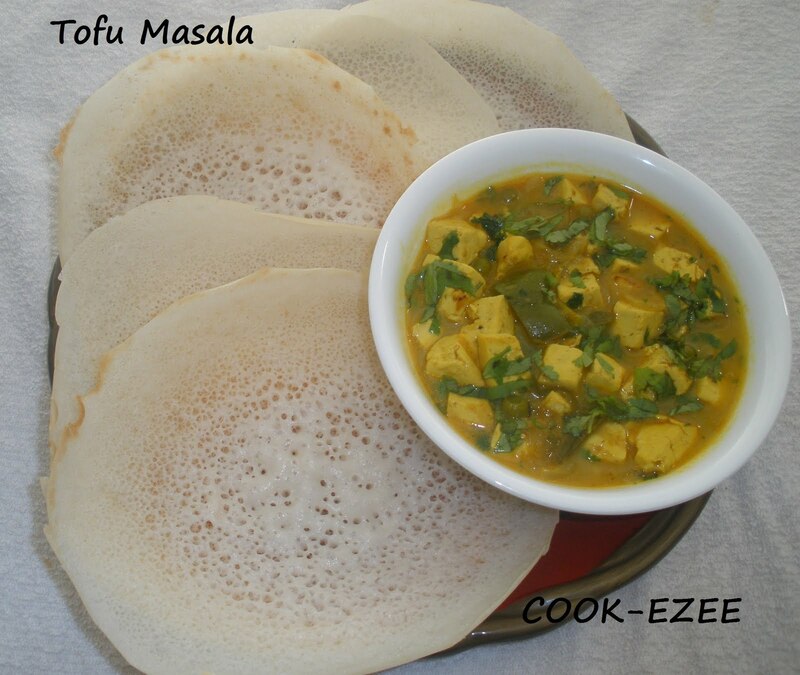 I have tried Tofu paratha, tofu manchurian, tofu masala curry, tofu Omlette, tofu scramble masala and many more and we felt you just have to develop the taste of Tofu and it will be in your favorite food list for being ezee to cook, healthy and being tasty. So this is an ezee recipe of Tofu masala curry which can be served with Roti/Naan/Rice. I made it with Appam instead of egg curry or any other non-veg curry since I didnt wanted to start the day with non-veg. Friends try it out, it is a very good alternative for panner if you are trying to cut down calories. Heat oil in a pan, crackle the jeera. Add onion, ginger-garic, green chilly, salt and saute till onion is light golden brown. Add green peas, bell pepper and saute for 2-3 mins, add the tomato and saute till tomato become soft. 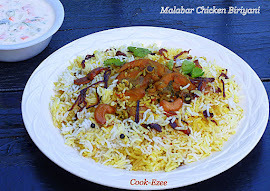 Add turmeric powder, chilly powder, garma masala powder and saute well till masala mixes with onion-tomato mixture. Add water and get it to boil keeping the pan covered. Add the Tofu pieces and stir slowing without breaking the tofu pieces. Close with a lid and let it cook in med flame for about 6-8 mins ill the gravy thickens and the tofu absorbs the masala well. Switch off the flame when the gravy reaches your requireed consistency. Garnish with chopped coriander/cilantro leaves. 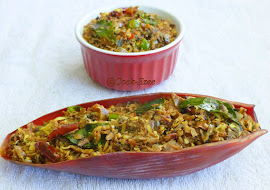 Serve hot with Roti/Naan/Rice or even with Appam..